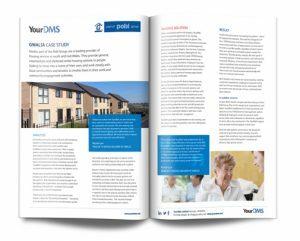 Gwalia, part of the Pobl Group, are a leading provider of housing services in south and mid Wales. They provide general, intermediate and sheltered rental housing options to people looking to move into a home of their own, and work closely with local communities and tenants to involve them in their work and community engagement activities. As Gwalia continued to grow and work with increasing numbers of businesses, people and communities, their need to have the correct systems and workflows in place was paramount. Their on-going drive to streamline back-office tasks, incorporating automation, led them to investigate the possibilities and practicalities of automating and streamlining of their incoming documentation, including invoices. With YourDMS’s experience with Document Management solutions and integration, they were the obvious choice.